South Korean swimming super star Tae-Hwan Park will attend FINA’s doping hearing, held in Lausanne, Switzerland on Feb. 27, as he failed a doping test last September during the 2014 Incheon Asian Games. FINA, the international governing body of swimming, informed the Korea Swimming Federation (KSF) at the end of last October that Park tested positive for testosterone with his A sample. Testosterone is a male hormone on the Prohibited List of the World Anti-Doping Agency (WADA). Although Park and the KSF asked for the analysis of the B sample, again they were finally notified last December that the B sample also tested positive. His agency, Team GMP, has sued a local hospital where Park received chiropractic treatment last July for a failed doping test on Jan. 20. The agency claimed that a doctor did not clarify the substances of the injections given him. According to a statement from Team GMP, Park had a free injection, following a doctor’s suggestion, after double-checking whether the injection contained any banned-substances. The agency added that he did not fail a test during game-time last September in Incheon, Korea. The hospital’s officials were under prosecutor’s investigation on Jan. 23. The doctor, however, told the prosecutor that Park had injections of Nebido, which contains Testosterone to boost levels of a male hormone, was delivered in December 2013, not last July. The officials argued that his agency is trying to shift the responsibility to the hospital in preparation for a hearing. Park was also examined by the prosecution on Jan. 25. The prosecutor will announce the result of the investigation this week, based on medical records and testimonies from both sides. Consequently, it seems to be difficult for Park, who tested positive to the best-known banned substance, to avoid a suspension. Moreover, the rules of the Korean Olympic Committee (KOC) might thwart Park’s hope for the Rio 2016 Olympic Games if he is to be suspended for at least a month by FINA. Under the rules, amended last July, an athlete who has been suspended for a positive drug test may not be selected for a national team for three years, starting on the day that the suspension ends. Meanwhile, officials from the KSF and KOC discussed preparations for a hearing with Park’s agency last Friday. 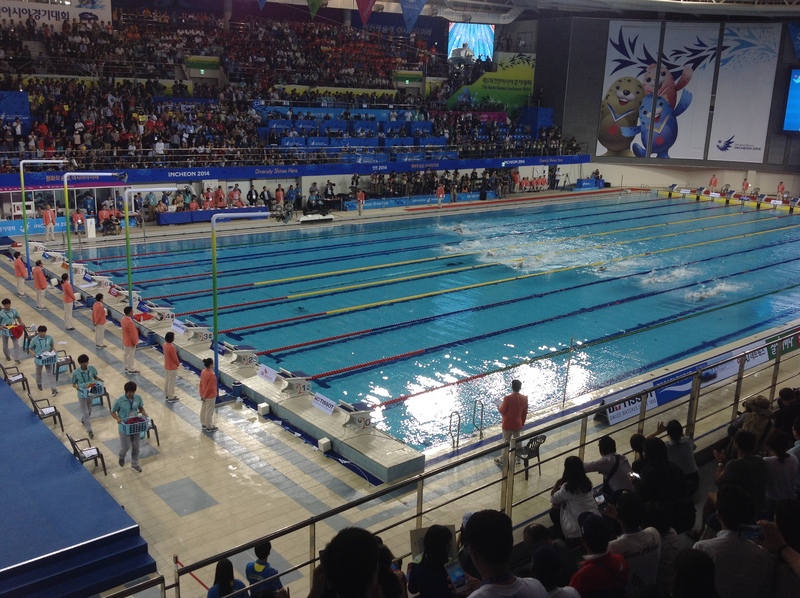 Tae-Hwan Park is the first Korean swimmer to win medals at the Olympic Games, where he gained one gold and three silvers in the 400m and 200m freestyle in 2008 and 2012. Park has recently visited the United States to find a new training venue and coach, ahead of the Rio 2016, after parting with his Australian coach at the end of 2014.